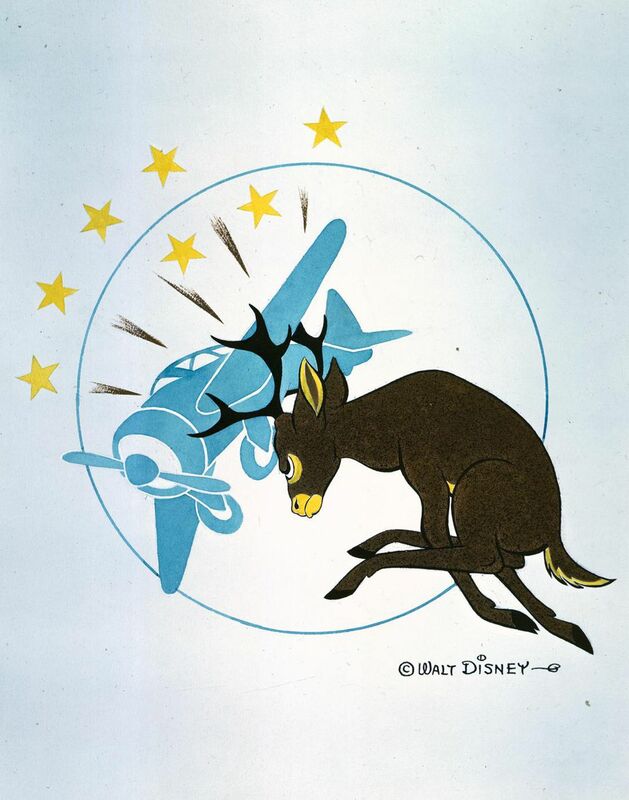 One of the purest expressions of Walt Disney’s genuine patriotism during the war years was his decision to establish a unit devoted to producing customized military unit insignia free of charge for U.S. armed forces and their allies. 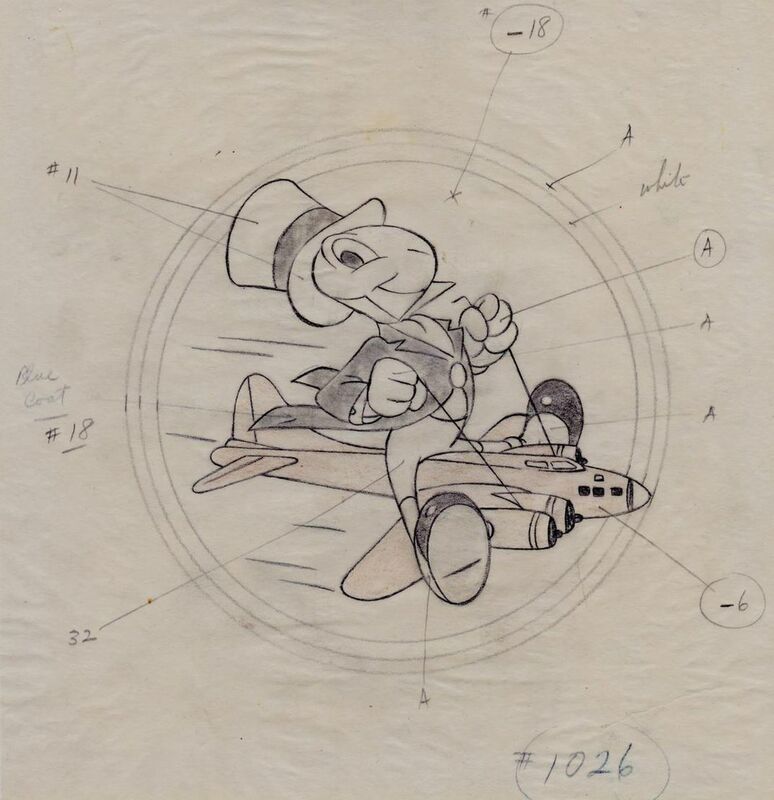 Headed by the talented draftsman Hank Porter, whom Walt referred to as a “one-man art department,” the unit worked steadily throughout the war, turning out nearly 1,300 insignia upon request. 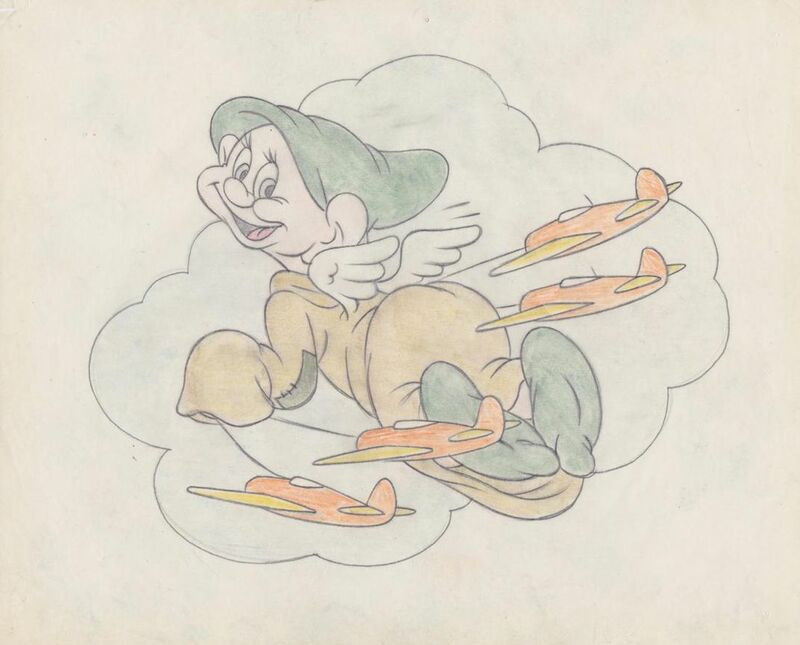 Sometimes a unit had a specific design already in mind, and was seeking a Disney artist’s skill to bring it to life, attaching a rough sketch to their request letter for reference. The bulk of insignia were designed for Army units and Navy vessels, but occasionally individuals requested their own personal insignia design. These requests were accommodated and executed with the same level of care as insignia for an entire ship, bombardment group, or battalion. The request letters were often addressed simply to “Walt Disney, Hollywood, California.” Once a letter was received, it would be placed in the queue of pending requests, and the turnaround time was usually three to four weeks, though a wait of several months was possible when the insignia unit was particularly swamped. The procedure for the creation of an insignia design varied, but it typically involved a preliminary pencil drawing in which the image was established, then a full-color pencil version, and finally a full-color gouache on art board that would then be forwarded to the requesting unit or party. 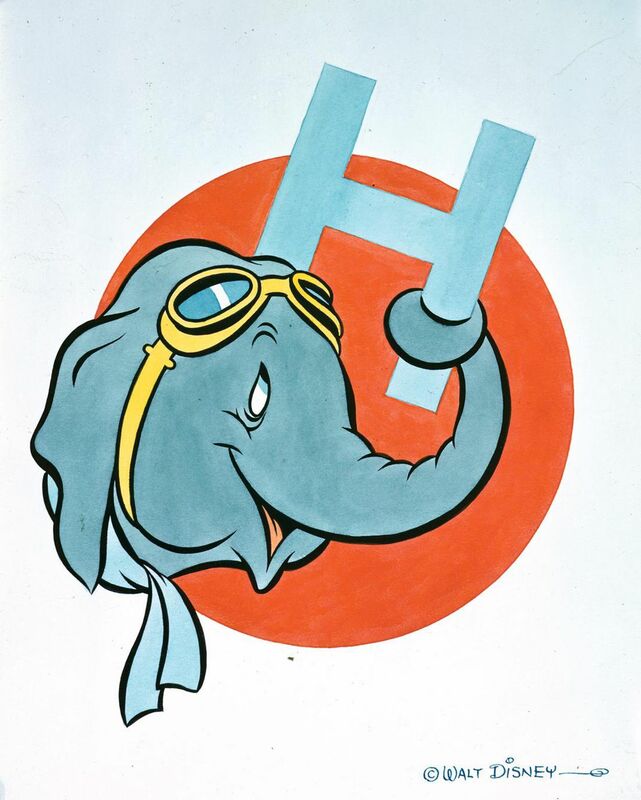 This would often hang in the unit headquarters and serve as a template for reproducing the emblem on airplanes, tanks, and other military equipment, as well as on uniforms and unit letterhead. It is difficult today to fully appreciate how it felt for a serviceman to have his unit represented by a Disney-designed insignia. 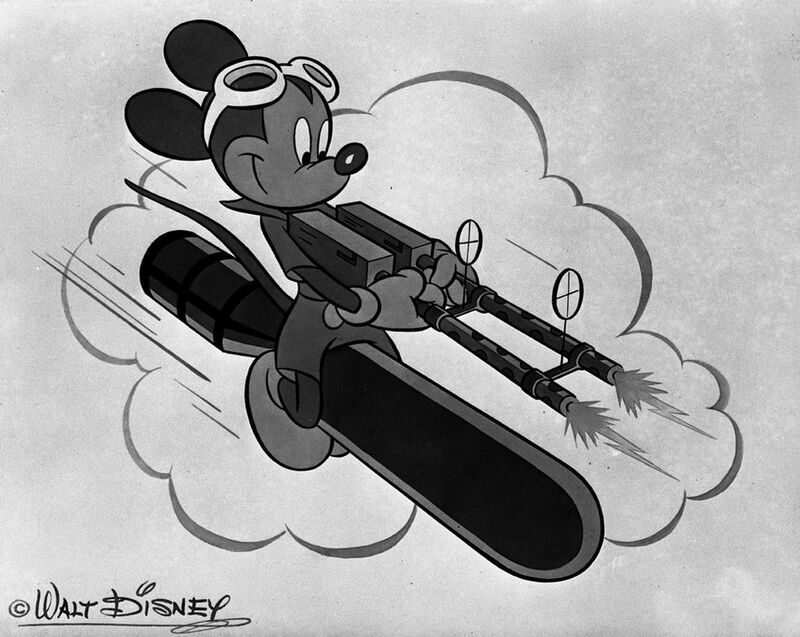 For the generation that fought World War II, Disney character images possessed an iconic heft that has no analog in contemporary animation. 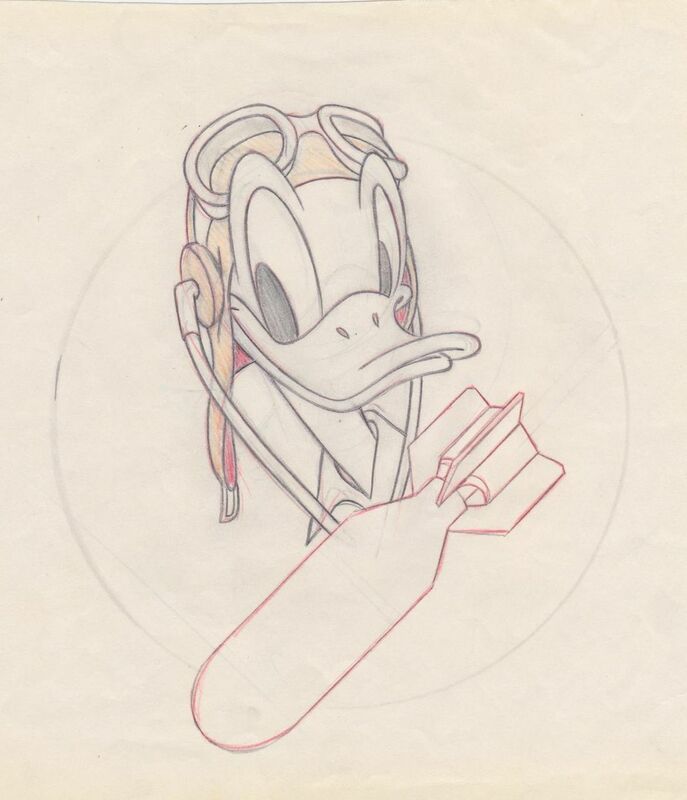 A Donald Duck insignia boosted morale, not just because it reminded soldiers of home, but also because it signified that the job they were doing was important enough to be acknowledged by Walt Disney. Excerpt from Disney During World War II: How the Walt Disney Studio Contributed to Victory in the War by John Baxter. Published by Disney Editions, an imprint of Disney Book Group; Photos © Copyright 2014 Disney Enterprises, Inc. Reprinted by permission of Disney Editions.